I am really rather excited about finding a new way of making iced tea. Now this may not be news to you, but I had never thought of adding green tea bags to cold water and leaving it to brew in the fridge! Helen featured Cold Brew Green Tea on her blog Fuss Free Flavours last week and I just had to try it. 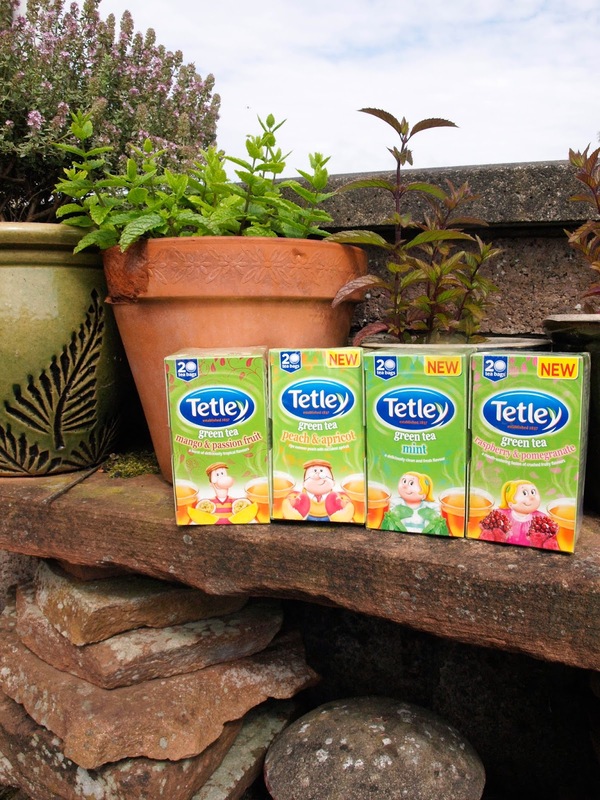 I used some of the lovely new range of green tea bags from Tetley. Sales of green tea are on the rise in the UK - thanks in part to growing evidence of its health benefits, but also because of its distinctive, refreshing flavour. 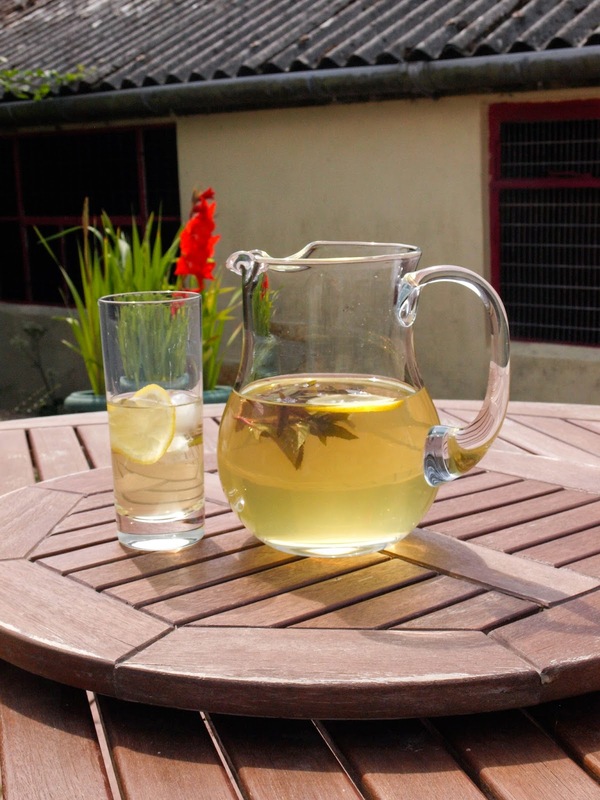 I've made a few jugs of Cold Brew Tea now, the one featured in the photo was Green Tea with Mint and I added some slices of lemon and mint sprigs, as recommended by Helen. However, I have also tried the Mango and Passionfruit variety and it was also delicious. You could add sugar or honey if you like your iced tea sweet, but I found it a really refreshing drink without any additions, it is reminiscent of the flavoured bottled water but without the artificial sweeteners. I've also tried the peach and apricot flavour as hot tea and it is equally refreshing and a nice alternative to black tea. Helen left her tea to brew overnight, but I found that 2 tea bags in 1 1/2 litres of water had enough flavour after a couple of hours which is more good news on a hot day! It's also incredibly economical with 20 tea bags for around a £1.00, you need never buy bottled flavoured water again. What a delightfully easy idea. Got to try this. I put my tea bags (normal and green-fruit) in a large jar of water and leave in the sun for the day. Let the heat brew your drink then add ice and enjoy! This looks cool and refreshing for the hot weather. I haven't seen these teas around but I'd love to try the pomegranate one.